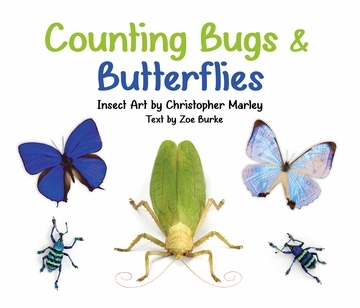 These fascinating bugs and butterflies are fun to look at and fun to count! 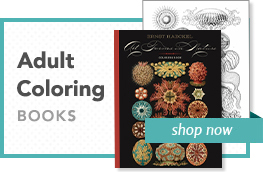 Arranged in artful patterns, they practically crawl or fly right off the pages. Discover Bugs that look like jewels or have legs like a frog’s. Wonder at Butterflies with wings that glow or are as clear as glass. Artist Christopher Marley’s designs are paired with Zoe Burke’s rhyming text to make this counting romp within the insect world a runaway—or flyaway—good time. About the Artist Artist Christopher Marley travels all over the world in search of all sorts of bugs and butterflies. He uses them—instead of paint or crayons or colored inks—to make beautiful designs. He lives in Salem, Oregon, with his wife, four sons, and thousands of insects. About the Author Author Zoe Burke loves to write rhymes for children’s books. She also writes mysteries for grown-ups, and every now and then she composes a song or two. She lives in Portland, Oregon, with her husband and two cats, who like to chase the occasional fly around the house.